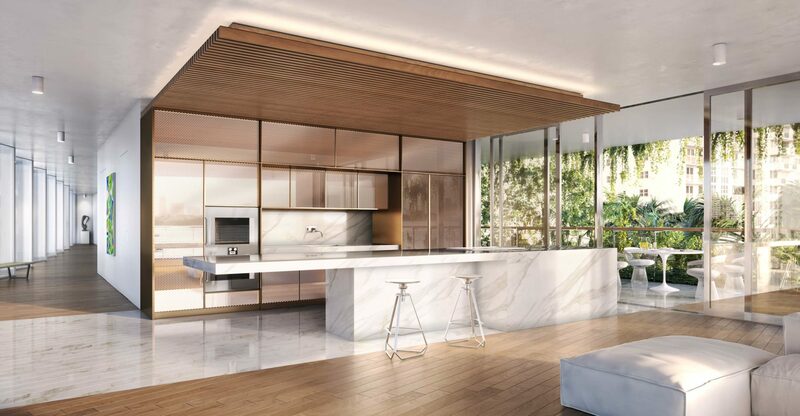 Pritzker Prize winner Jean Nouvel breaks new ground in Miami Beach. Jean Nouvel needs little introduction. The 71-year-old Pritzker Prize laureate, whose work ranges from the Institut du Monde Arabe in Paris to Barcelona’s Torre Agbar tower, is widely regarded as one of the great living architects. 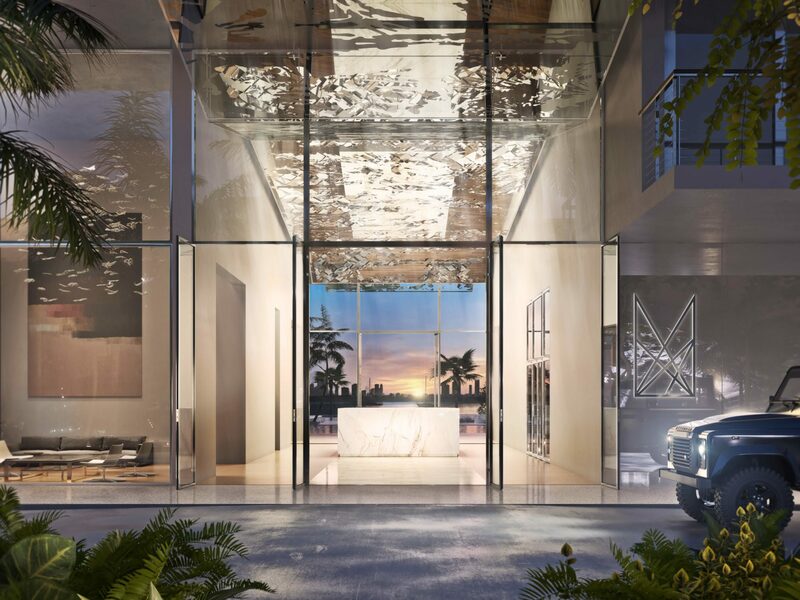 Though he has built projects around the world, the architect recently broke ground on his first in Miami Beach, a city experiencing significant economic and cultural growth. 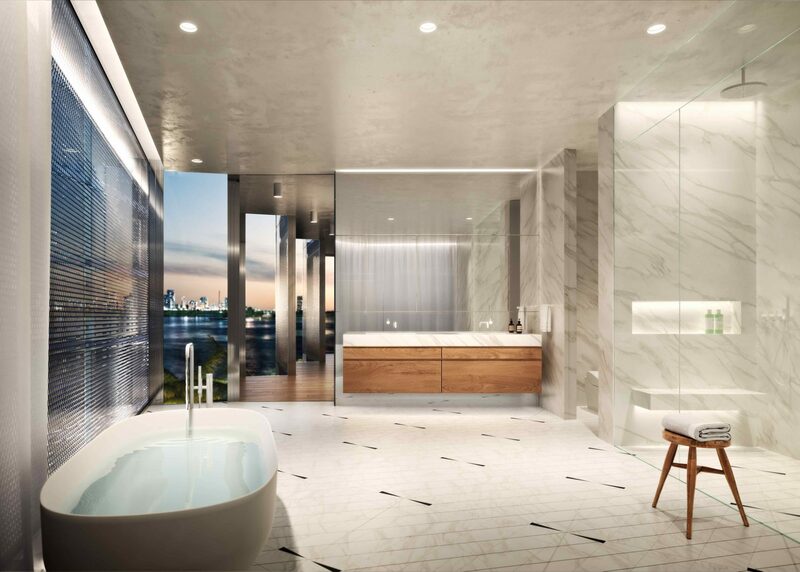 With this vision in mind, Nouvel teamed up with JDS Development Group to create Monad Terrace, a collection of 59 individually-designed residences currently under construction on the Biscayne shores in the relatively quiet district of South Beach Bay. 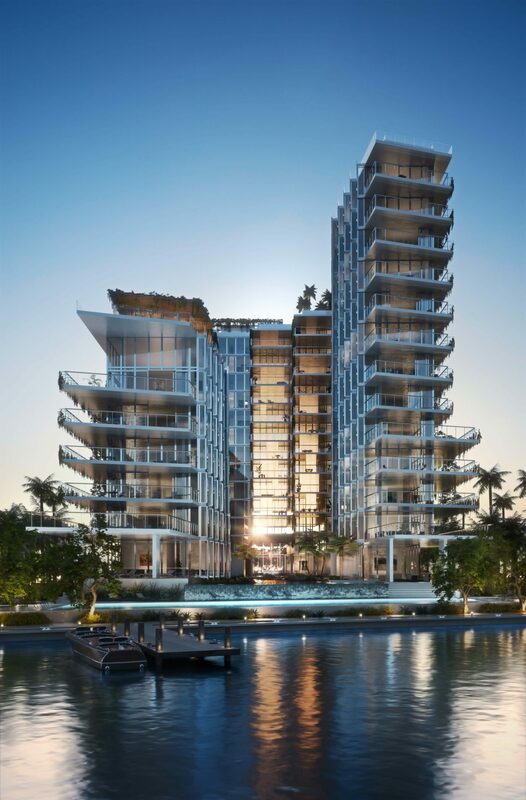 In the context of Miami’s dominant art deco architecture, the project is a step in a very different direction—and one that is designed to thrive despite rising sea levels. 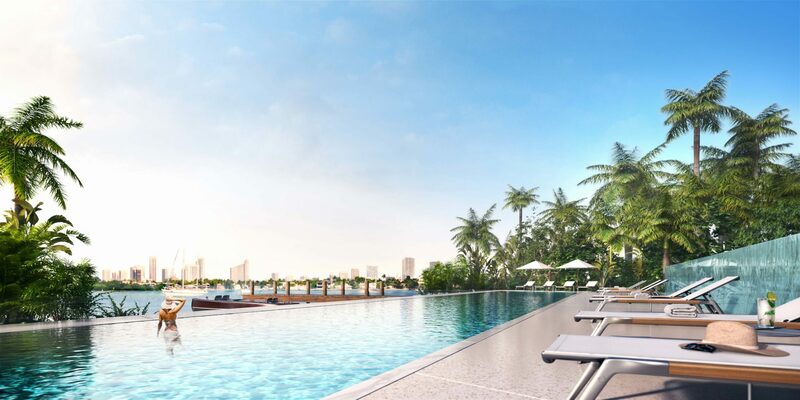 Comprised of two buildings, 14 and seven stories high, respectively, Monad Terrace will sit 13 feet above sea level. It is the city’s first residential building designed to meet new climate-conscious building codes. At the same time, Nouvel’s design is more evocative than imposing. His plan picks up the subtropical environment’s natural interplay of transparency and light. The result is a geometric configuration of burnished metal and polished glass, which disappears into the native Bougainvillea and Passion vines growing on Monad’s north and south sides. These vertical gardens, a signature of the architect, create a living facade that provides shade and privacy for the buildings’ terraces. 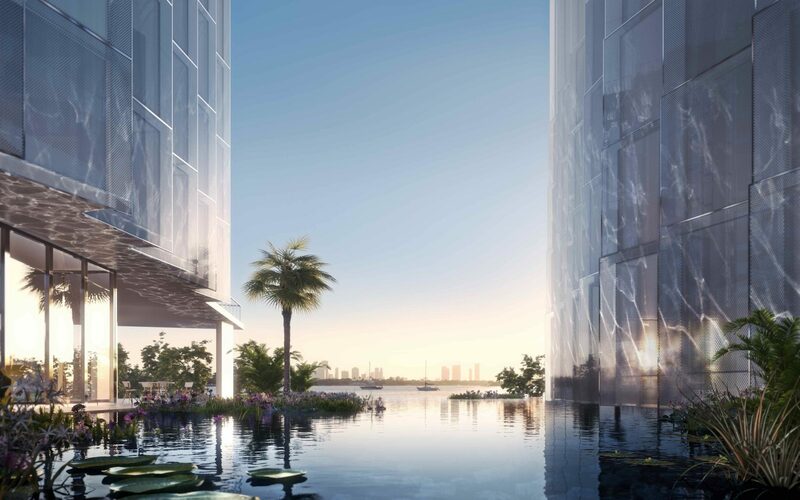 Flowing straight through the middle of both buildings will be a naturally filtered reflecting lagoon, framed by plants and floating lily pads. This water garden serves as a visual connection between neighborhood life along West Avenue and Biscayne Bay, and is purposefully centered at Monad’s heart. The wooden sun decks, boat docks, a hot tub, and a 116-foot swimming pool that surround it blur the line between indoor and outdoor living. 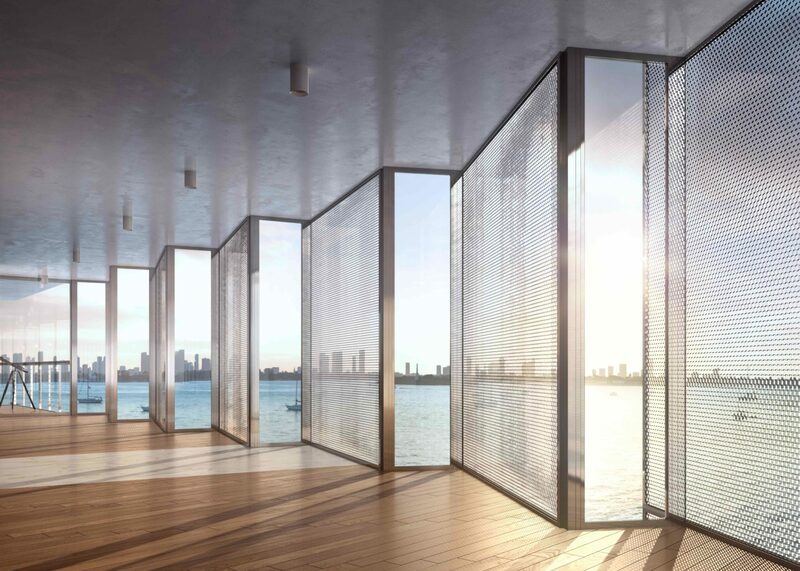 These bodies of water are intentionally placed to reflect and scatter natural light throughout garden areas and into living spaces through glass panels that enclose a silvery metal screen. Its honeycomb pattern is designed to capture, diffuse, and reflect incoming light, as well as to ensure privacy. “Architecture is a question of context,” Nouvel says. With this project, he aims to reconcile the realities of a coastal site with a vision for the future. 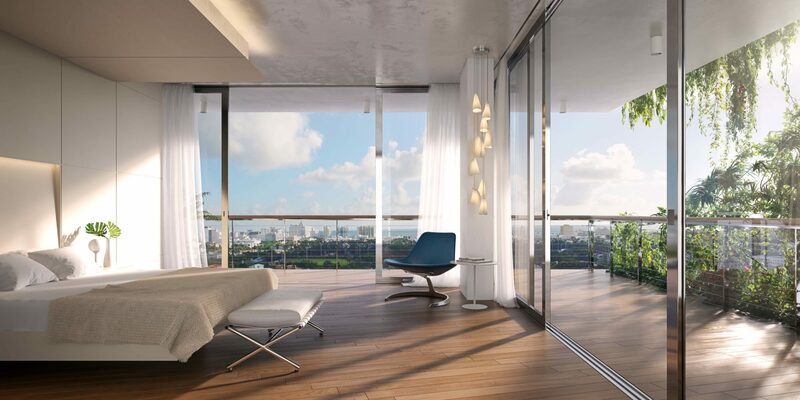 In the narrative of Miami’s architectural evolution, Monad Terrace will write its own chapter.